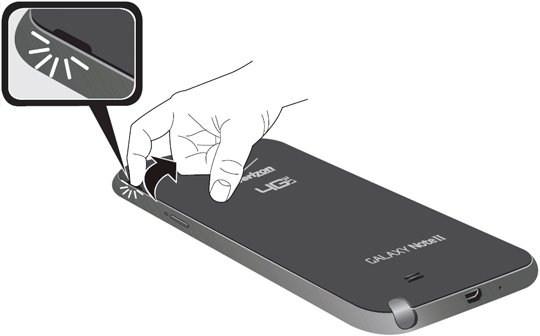 From the back of the device, locate the notch in the cover (located on the upper-left edge) then lift the back cover from the device. From the notch in the lower right corner of the battery, lift the battery out. Slide the microSD card out. Align the battery contacts then gently press the battery into place.